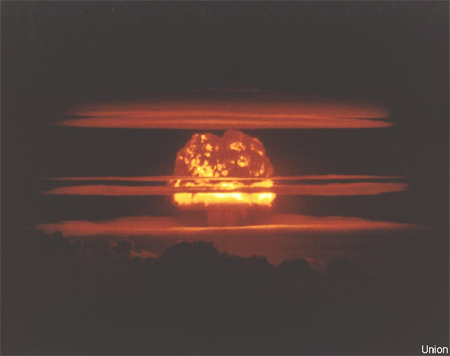 there are over sixty images in the Nuclear Test Image Gallery, and i said “WOW” over sixty times while looking through it. if you’ve got a few minutes, you really should check it out. image info includes the weight, the location, and the test date. this one is called Union (1954). it looks like a mushroom. This entry was posted in interesting and tagged i learned something new, photos. Bookmark the permalink.